On Monday night I picked up my first Sarslmaz hangun, the SARGUN. After giving it a good cleaning, I took it to the range today and put 200 rounds through it. Purchased for $289.99 from CDNN Sports. The firearm comes in a blowmold case with three different backstraps, a lock, a tool to adjust the rear sight, a punch to replace the backstrap, a barrel brush, cleaning rod and one 17 round magazine. I ordered two more online and got them in three days. The magazine is plastic and honestly, feels kind of cheap. Eventually I’m going to have to invest in some metal mags. But I’ll see how durable they are. According to the mfg, they are very durable. There isn’t a lot to the internals. The slide rides on metal rails, while the rear rails are plastic. The recoil spring assembly (RSA) is a design I’m not very familiar with. It’s interesting how it locks onto the barrel. The lower of course is polymer. But, unlike some firearms where they have small metal tabs for the slide, the metal guides on the SARGUN are impressive. You can also see that the slide stop needs to be removed for disassembly. 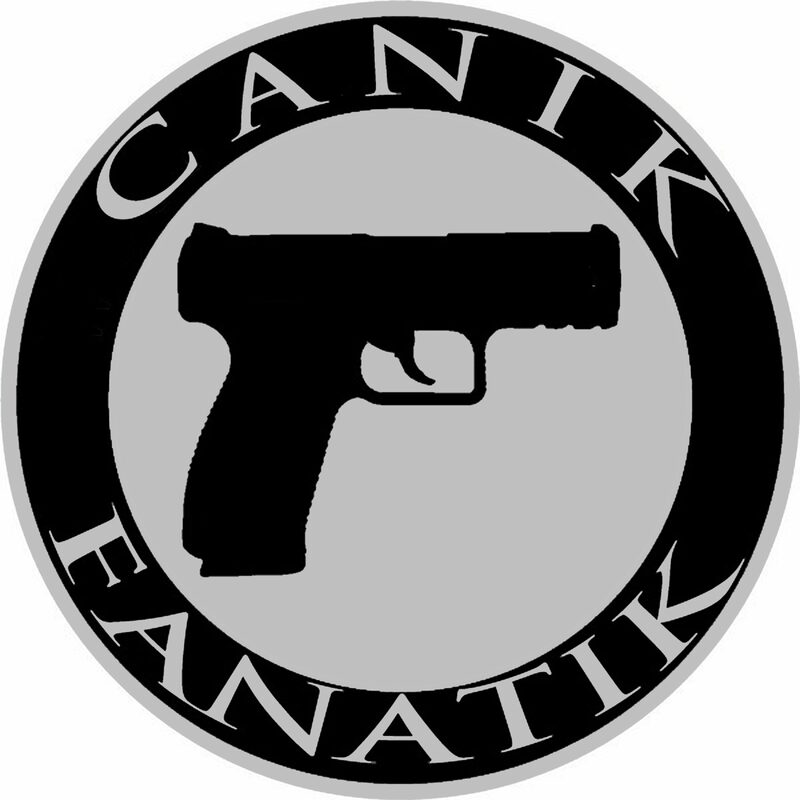 Compared to the Canik SF, it’s about the same size, but has a higher bore axis. However, the RSA mitigates muzzle flip and allows you to stay on target relatively easy. The rear sight on the SARGUN is adjustable, and comes with a tool for making adjustments. Unlike most striker fired pistols, this does not have a blade safety on the trigger. Rather, it has an ambi slide safety. The SARGUN also has an ambi slide stop and Euro style paddle magazine release. The firearm ran flawlessly with four different brands of ammo. All ammo ran flawlessly. However, I did have one issue with the WWB. One magazine failed to lock back after the last round. I attribute this to the ammo, since this has happened to me before with this brand. Right out the gate, I was hitting near center at 7 yards. The first 10 rounds kept a nice tight group except for one flier. As you can see in the picture, I was shooting a little low and right. The pistol is ergonomic and the point of aim is very natural, just like my Caniks. Since this range trip was about function and not accuracy, I didn’td bother to adjust the sights this trip. I focused on the functionality of the gun and how it operated. Ejection pattern was decent, but with some of the WWB and PMC, a few casings came back towards my face. Since it’s still in it’s break in period, I assume this will improve as everything loosens up. After a couple hundred rounds, my dominate hand did have a little fatigue. Originally when I got the gun, the largest backstrap was installed. I removed it and installed the smallest. I may install the medium for the next range trip and see how that feels in the hand. I also noticed last night that the front sight is luminescent. It needs light for a short period to charge it. I don’t know how long yet it lasts. My assumption is not very, and may try to find a tritium to replace it with. So far, this is a very decent range gun. It’s too big (for me) to carry on a daily basis. However, after it proves itself to be a reliable firearm, I could see this becoming a home defense/nightstand gun. And once I have the sights dialed in, I could see this also being a competition gun. Once I can get it to the outdoor range, I’ll shoot some video of it and compare it’s accuracy against my Caniks. Though the sights aren’t dialed in yet, I’m impressed with the tight groups it can produce. Now I just need to find a way to make some extra money so I can buy more Sarsilmaz firearms. Originally posted on the Canik Fanatik Forum.